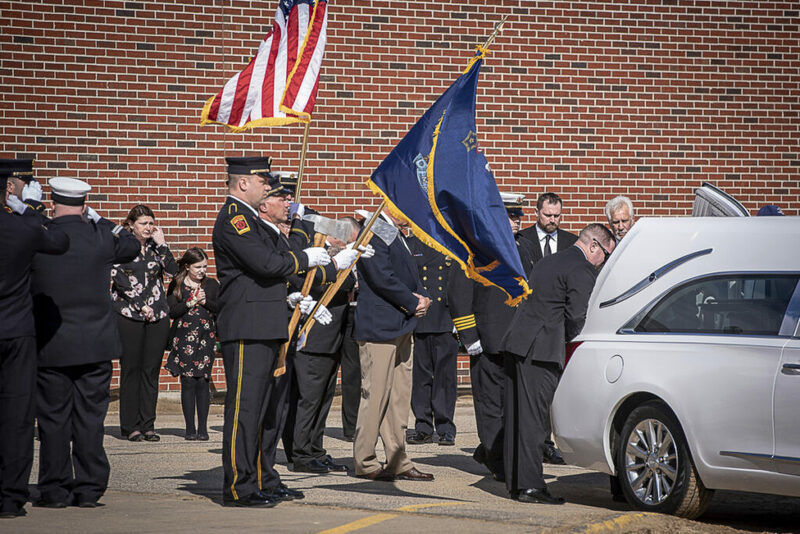 Family members and fellow officers stand at attention Saturday before the funeral honoring Oxford Fire Chief Gary Sacco at the Oxford Hills Comprehensive High School in South Paris. 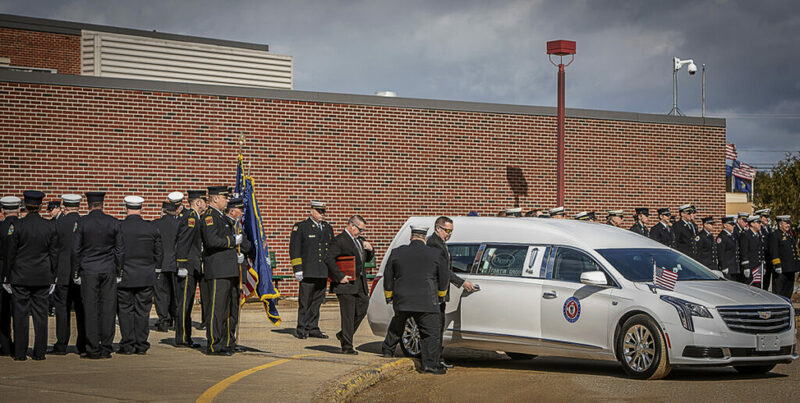 A hearse carrying the remains of Oxford Fire Chief Gary Sacco arrives for funeral services Saturday at the Oxford Hills Comprehensive High School in South Paris. 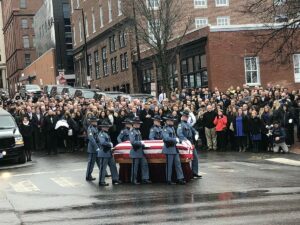 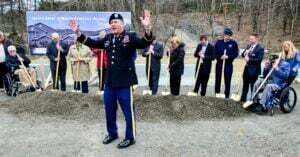 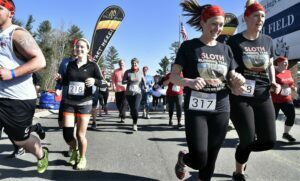 Maine firefighters said goodbye Saturday to the fire chief who died nearly a week ago after suffering a medical event while honoring a fallen firefighter. 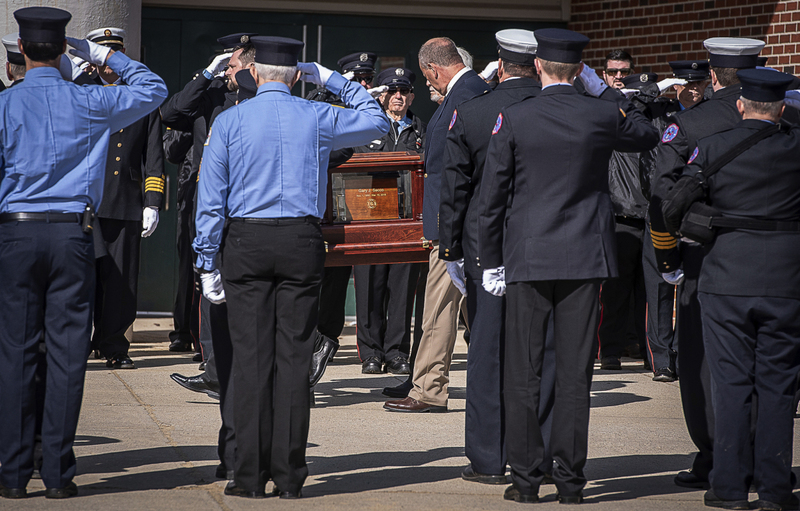 Officers salute as the casket of Oxford Fire Chief Gary Sacco is carried into the funeral service in South Paris on Saturday. 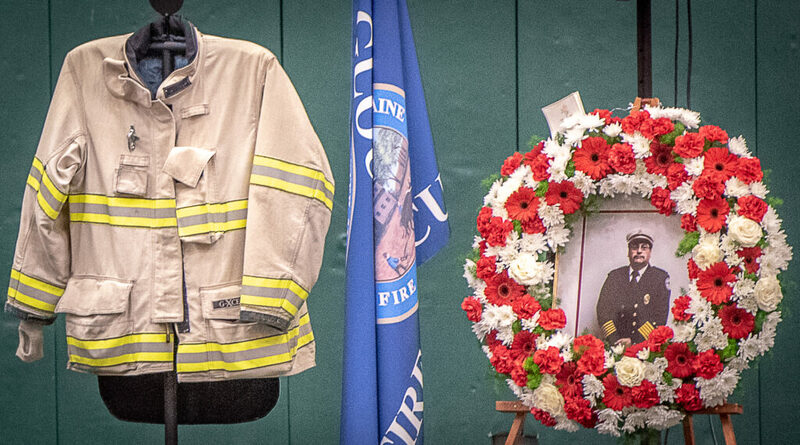 Oxford Fire Chief Gary Sacco's turn out coat and wreath at his funeral service on Saturday at the Oxford Hills Comprehensive High School in South Paris. 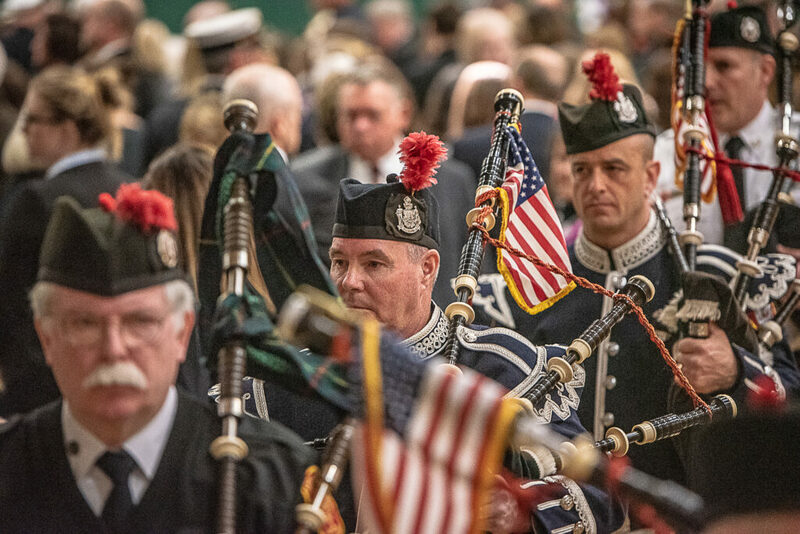 Bagpipers at the funeral of Oxford Fire Chief Gary Sacco in the Oxford Hills Comprehensive High School on Saturday morning. 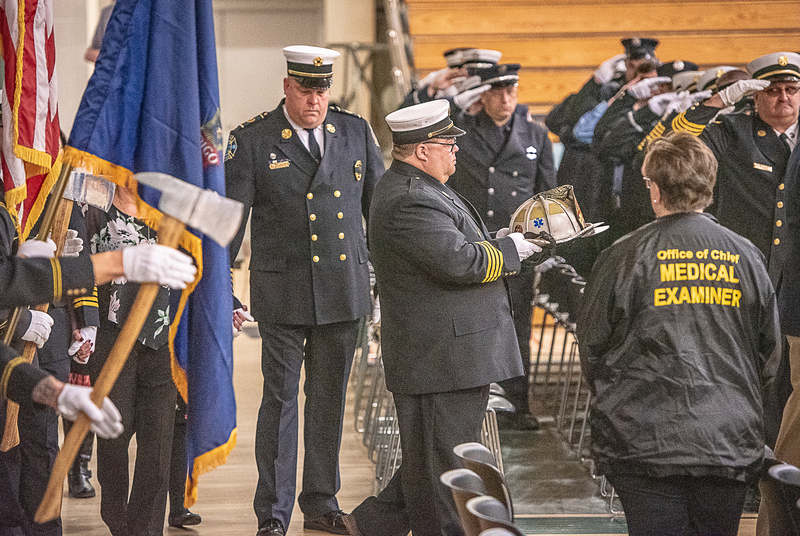 The fire hat of Oxford Fire Chief Gary Sacco is carried into funeral services at the Oxford Hills Comprehensive High School on Saturday morning.